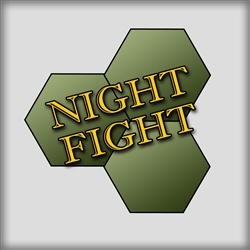 Night Fight: Solitaire East Front Tactics is a solitaire wargame in which you command a Kampfgruppe group of German panzers infiltrating and attacking Soviet forces at night while the system runs the Soviet forces. 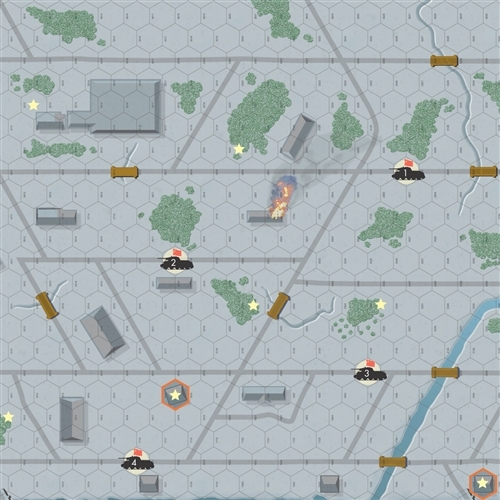 The first scenario is based on an actual night action from the Battle of Kursk during elements of 6th Panzer Division infiltrated behind Soviet lines. There are also several other scenarios representing other night fights on the eastern front in 1943. Each vehicle counter represents up to five tanks or other vehicles, depending on the scenario. 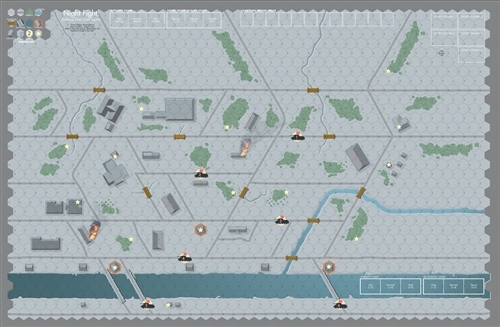 Each map hex represents 30 meters. Each turn represents anywhere from two to 15 minutes depending on the tempo of your activities.